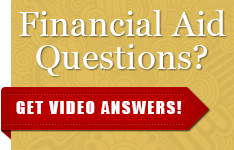 Does Stanislaus State accept applications for financial aid after the March 2 deadline? Yes. We accept applications after that date. Available funding may be limited to the Federal Pell Grant (if you are an undergraduate or enrolled in a teaching credential program) and Federal Direct Student Loans. Be sure to apply as soon after January 1 as possible for the next academic year. You may apply up until the end of the Spring Semester, but the processed record of your application must be received by California State University, Stanislaus by the last day of classes for the Spring Semester. Yes. Students are required to reapply for each new award year. What is the benefit of applying online? Filing electronically is much faster and includes a system of checks and balances that allows you to submit a virtually error-free application, saves paper and reduces the need for manual data input by the federal processor. Public libraries and most high schools offer access. If you cannot use these sources, file the paper version. What happens to my financial aid application after I submit it to the processor? The processor will evaluate your application and determine your Expected Family Contribution (EFC), the amount you and/or your family are expected to contribute toward your education. If you included an email address on your FAFSA, you will receive a Student Aid Report (SAR) notification in response by email. If you did not include an e-mail address, you will receive a paper SAR in the mail. Either form of the SAR allows you to review the information you submitted and to make corrections, if any are needed. California State University, Stanislaus will receive your application information electronically after your FAFSA is processed. We will then send you a letter listing the documents we need from you and notify you of your eligibility for financial aid. Note: All of your requested documents must arrive and you must be admitted at Stanislaus State before you can receive a financial aid offer. Some students will be notified on their SAR that they have been selected for verification by the federal government. The verification process must be complete before we will make an offer of financial assistance. Students must submit to the Financial Aid Office a copy of their signed federal tax returns with all schedules and attachments, as well as a Verification Worksheet. We will mail you the worksheet upon request or you can print one from this website. Additional forms or documents may need to be submitted to the Financial Aid Office to satisfy federal regulations, including confirmation of citizenship or registration with selective service. Please keep copies of all forms submitted to our office and make sure all forms, such as tax returns, are signed and include your student ID. Why won't you release any information to my family about my aid when they called? The Federal Educational Rights and Privacy Act (FERPA) prohibits us from discussing any of your specific financial matters with anyone but you without your written permission. Should you wish to authorize release of this information to a specific person, a Consent for Release of Information form is available at the Financial Aid Office. The University complies with federal law FERPA (Federal Educational Rights and Privacy Act of 1974); see Appendix of the University Catalog. The University has adopted a set of policies concerning implementation of FERPA, which may be obtained from the Enrollment Services Office or from the Vice President for Student Affairs Office and online. My parents did not claim me on their tax return this year. Can I file my application as an independent student? You will reach age 24 by December 31 of the academic year. You will be working on a masters or doctorate degree at the beginning of the school year. *Please note: If you will be working on a credential, a second bachelors degree, or prerequisites for a masters program, you do not meet this criteria. However, if you are an undergraduate younger than 24 and believe that you have extenuating circumstances, you should make an appointment with a Financial Aid Advisor to discuss the situation. I was awarded a Cal Grant from the California Student Aid Commission last year. Do I need to complete the CSAC GPA Verification Form along with my FAFSA for this year? No. Once you have been awarded and received your Cal Grant, you do not need to complete the GPA Verification form in subsequent years. Your Financial Aid Advisor will include your Cal Grant in your award package if you are eligible for a renewal of the grant the next year. I have a bachelor's degree but need to take additional coursework before I can be admitted to another program. May I receive aid while I am taking my prerequisites? In most cases, students taking prerequisites are eligible for funds from the Federal Loan Programs for up to one year while completing prerequisites. Refer to the previous section regarding independent student criteria before you complete your FAFSA. You may also contact your Stanislaus State Financial Aid Advisor for additional information.